While the public health sector has for some years been busy training a barrage of medical practitioners to service the health facilities across the country, it has neglected to focus on the training of another, but very crucial, level of professionals. The consequence is that while the medical expertise is readily available, the health sector has been deprived of those capable of ensuring that the needed medical equipment is in working order. 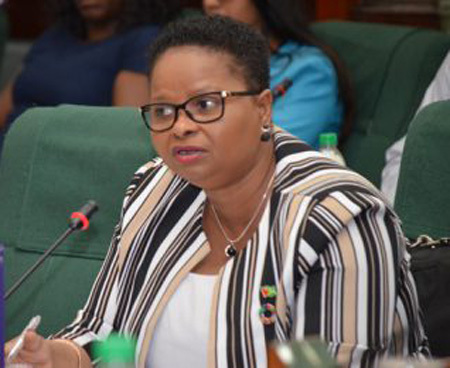 “I have said over and over again that, over the many years, while we were training lots of doctors, we did not train biomedical technicians,” Senior Minister of Public Health, Volda Lawrence said recently. The Public Health Ministry has, moreover, been on a mission to train biomedical technicians. Biomedical technicians are professionals who are trained to ensure that medical equipment is well maintained, properly configured and safely functional. “We have a dilemma in that we have been trying our best to ensure that we train as many persons as we can,” said Minister Lawrence. She however noted that the public health sector does not have nearly enough of these professionals as yet to meet its need. According to the Public Health Minister, the situation that therefore exists is that the health sector is forced to depend on the services of two companies, although it has been working to train professionals in this regard. But the services are not offered exclusively to the public health sector, since the Ministry has to join the list of private health institutions that also access such services. Minister Lawrence explained that because the public health sector does not have in place standardised equipment, it is presented with yet another daunting problem in dealing with its equipment. “We do not have standardisation in the type of equipment that we have across the country [and] that is posing another problem, because when they [bio-technicians] go they will find one type of equipment and then the other equipment is another brand, and so we are having challenges, serious challenges with that,” Minister Lawrence admitted. But there is a plan to counter this ever-prevailing challenge as early as next year. According to the Minister, the Ministry has in place a new policy which will be set in motion from 2019 that will see the Ministry leasing equipment rather than buying. “We feel that with that position, we will be able to not only have adequate and updated equipment, but it will take away from the Ministry and the staff of the Ministry, the need to find a biomedical technician when it is broken [or] to sole source to have those machines working…we wouldn’t have to deal with all of that if we lease,” Minister Lawrence asserted.